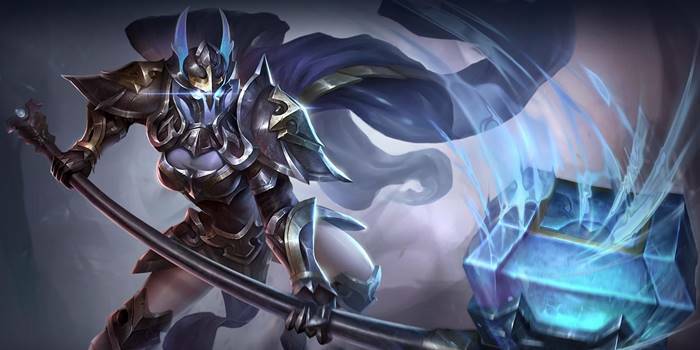 Taara Item Builds Guide for Arena of Valor (AoV). Each build is geared toward a different play style, so choose one that fits your personal preference. These items are necessary in order to play Taara optimally. Only diverge from a core item if you are a very experienced player or you have a very good reason for doing so. Mantle of Ra While not offering the health that she usually goes for, Mantle of Ra offers Taara a lot of aggressive potential along with some defensive stats. Both the burn and the attack damage will ensure that Taara is damaging her foes and able to quickly clear waves of minions. The armor will go a long way as well, making each point of health that she stacks go all the further. Frost Cape This is everything that Taara loves and more. Health, armor, cooldown reduction, and a way to stick to foes. Her free abilities will allow her to regularly proc the item’s passive very regularly, keeping her targets constantly within hammering distance. Amulet of Longevity Amulet of Longevity is Taara’s only way to resist people who purchase regeneration slashing items like Curse of Death or Tome of the Reaper. It doesn’t completely negate the effects, however it will pick her back up a bit. If the enemy team doesn’t build one of those items, this item becomes godly on Taara. It amplifies both her health and regeneration in large amounts, making her ultimate much stronger and her life force much stronger. Spear of Longinus Spear of Longinus allows Taara to tear away the armor of her target with each of her attacks. This leaves them more vulnerable to her and her allies’ coordinated efforts and much easier targets as a result. The item additionally offers a number of beneficial stats to the warrior, most notably a large amount of cooldown reduction and a decent amount of health. Gaia’s Standard While not offering as much magic defense as Medallion of Troy, Gaia’s Standard makes up for it with extra regeneration and movement speed. Taara will be heal even faster in skirmishes when the passive activates and be much better at sticking to enemies with the speed it offers. Mail of Pain You can pick up Mail of Pain if there are a lot of warriors or bruisers in the opposition. This will allow you to fight against them with the advantage of the item’s unique passive of reflecting the damage dealt by your opponents. Medallion of Troy Medallion of Troy will stave off any magic damage the enemy tries to throw out. It is a great source of stats, offering health, magic defense, and cooldown reduction, all of which very useful to Taara. Hyoga’s Edge Hyoga’s Edge is another item for slowing down enemies, a great way to lock down those Taara attacks. In addition to the slow it offers, Hyoga’s Edge speeds up the attacker each time they attack, making them even harder to escape from. Odin’s Will Odin’s Will is a fusion item that can be a bit situational in use. For Taara, it ups her damage and survivability simultaneously while furthering her effectiveness as she takes damage. Her ability to restore herself and stay standing in fights makes it easy to gain stacks and hit the item’s fullest potential. Hercules’ Madness Another hybrid item, Hercules’ Madness gives Taara some extra wiggle room when losing health in order to use her ultimate. It additionally raises her damage output when active, giving the warrior some extra firepower when in the thick of a fight. Flashy Boots Flashy Boots will help Taara spam her abilities and contribute more in team fights. If nothing else, more regular access to her ultimate will always be welcome. Here we build Taara as a durable brawler, focusing primarily on her defenses and relying on her passive to provide her with some damage. That is not to say that the build is completely without damage, Frost Cape’s passive providing a bit when it brocs and Mantle of Ra boosting her attack stats. The rest of the items in the build give Taara some additional staying power in fights, strengthening her defenses and providing some beneficial defensive passive abilities. This build resembles the previous build but has a more offensive slant as to allow Taara to jump into battles and dish out damage to surrounding enemies. This build gives the girl some extra damage when brawling with enemies, allowing her to more effectively rip apart those who stand against her. Omni Arms replaces Frost Cape to greatly boost her lethality whenever she casts an ability. Hercules’ Madness will help her out of tight spots and give her a bit more time to use her ultimate in fights. Gaia’s Standard and Amulet of Longevity will amplify her regeneration, causing her to constantly regenerate health throughout the game while also toughening her skin. With a respectable clear speed, Taara is able to take the role of jungler if needed. Her passive assists with this, raising her ability to kill creeps as she tanks their damage. We get a double burn with Leviathan and Mantle of Ra, punishing those who get stuck next to Taara. We then trap as many people near her as possible wit items like Frost Cape and Gaia’s Standard, lowering the enemy’s movement speed and buffing your own respectively. Name: Tragic Life Hammer Talent: Punish Build: Leviathan > Gilded Greaves > Crimson Banner > Gaia’s Standard > Gaia’s Standard > Hyoga’s Edge > Amulet of Longevity Notes: 1. The Build Provides 17K HP. 2. Farm off the Riverbird and small monster at the DS Lane. 3. Be Aggressive after you Level 4. 4. Don’t miss the Spirit Sentinel. 5. Save Ult longer to dish out enough Dmg. 6. Late Game Sell Boots and buy Spear of Longinus. 7. Switch order of Crimson Banner and Gaia’s Standard based on your Lane Match Up. I’m surprised you still have the omni arms build I suggested on here! It’s very effective now that taara can engage with lower HP, makes her much burstier overall. I’ve personally swapped the boots to Flashy Boots and Exchanged amulet for Hyoga’s making taara a bit harder to burst down while allowing her to stick to her enemies quite nicely, and having the 25% cooldown is incredible considering how much healing her passive has now. Very very fun build even after a few months! This is a fine strategy, just make sure to communicate to your team that you aren’t Jungling. A lot of people see the Punish talent and immediately assume the person is jungling. Good update to the kit, personally, I like running the top build with Longinus over Mail of Pain as Taara’s Spin allows her to keep many enemies on reduced armor at once. Thanks for featuring an edited version of my suggested kit I’ll have to try out Hermes’ myself, seems much better at engaging. Good Work! Also, the “aggressive tank” build description is inconsistent with the actual items listed. You should add, Mantle Of Ra, Gilded Greaves, Omni Arms, Hercules madness, Amulet of Longevity, and Death Sickle as a build. BEATS ENEMIES WITH TOME OF THE REAPER OR CURSE OF DEATH. Gives Taara Massive levels of damage by making her survive as long as possible on low HP with the Madness and sickle, while the Omni Arms effectively DOUBLE the AD she gets from her basic. Non reliant upon her ultimate, which is best used after hitting 1 hp to ensure escape/survival, but seriously, she hits hard than violet at 1 hp with this kit. This certainly is a very interesting way to build Taara! It would make her a lot more of a melee carry than the durable off-tank she is normally played as. A lot of high-risk, high-reward, but that fits Taara’s kit. I can feel myself wanting to swap in Frost Cape and Ancestral Glory, which shows how conditioned I’ve been to always build Taara tankily. Ancestral glory may be a very good call, but frost cape simply won’t fit as it produces nowhere near as much extra damage as the Omni arms. I understand. I wasn’t trying to change the kit too much, simply saying what my reflex was. We have talked about posting user made builds before, so I will keep yours in mind when I am going over Taara’s page. It normally doesn’t but it should work with Taara given how her passive works. The lowering of her health adds to her AD rather than add a separate damage effect, so Omni Arms will benefit from the increase. This is why her abilities grow stronger when her health is lower as well. You can check your current attack damage by looking at the hero page in-game. While it might be hard to see exact sources, Taara’s passive does contribute to the bonus added to her attack damage. I tested by taking damage in training mode and checking my attack damage both at full and reduced healths.